I reviewed a copy of the book sent by the publisher. In 1964, Mississippi was the last frontier of the Civil Rights Movement in getting African Americans registered to vote. Racism was rampant, only 6.4 % of eligible blacks were registered voters, even though blacks made up more than half the state’s population. The reality was that despite all the sit-ins and marches, whites had little interest in the plight of the African American. 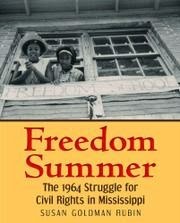 In Freedom Summer, Susan Goldman Rubin explains how a number of major civil rights groups joined forces to create a summer project known as Freedom Summer. By involving white college students from the North to help register blacks to vote and to establish Freedom Schools, the Council of Federated Organizations (COFO) hoped to confront bigotry in Mississippi and make white America sympathetic to the fact that African Americans lived under constant threat of having their homes and churches burned, loss of their jobs, and even death. They faced all these threats just for the right to vote. Rubin’s narrative explains the work these tireless volunteers accomplished as they faced many life-threatening situations from local law enforcement officials to the Ku Klux Klan as they went door-to-door educating children and adults on the importance of voter registration. Rubin frames the eventual success of Freedom Summer around the murder on June 21, 1964 of three civil rights workers: Andrew Goldman, Michael (Mickey) Henry Schwerner, and James Earl Chaney. Their death would make front-page news, thus bringing attention to the violence happening in Mississippi. Interspersed throughout the text are historic, well-captioned black & white photos. 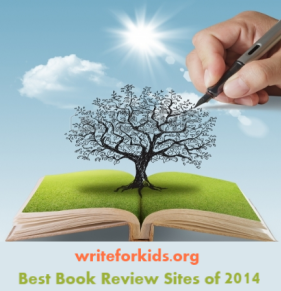 The book is effectively documented, including a timeline, and an extensive bibliography. DVD resources about Freedom Summer include 10 Days That Unexpectedly Changed America produced by The History Channel and PBS American Experience: Freedom Summer.